Welcome to the website of Kensington Regeneration, the largest New Deal for Communities project in the country. 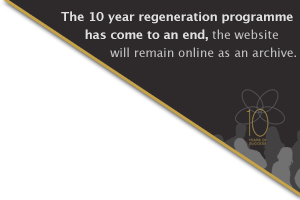 The Kensington Regeneration programme came to an end on 31 March 2010. Regeneration work will continue with the Kensington Community Interest Company (CIC) which will play a key role in sustaining the benefits of the programme and retaining community involvement. This website provides an archive of the achievements of Kensington Regeneration and its partners. The Kensington Regeneration minibus is now owned by Yellow House and is available for advance bookings for groups within Kensington. Bookings can be made by contacting Yellow House on 0151 427 1338. A summary of Kensington Regeneration’s key priorities for 2009/10. Highlights what’s been achieved so far, the projects and activities that the partnership will be investing in during its final year, what they’re aiming to achieve and the benefits they will bring to the area. A useful guide to Kensington and the facilities and services available locally for people new to the area. Published in a number of different languages. Produced in response to the fact that Kensington has welcomed new residents from many countries in recent years.